This workwear-inspired feminine jacket is made from rugged, organic cotton Stand Up™ canvas with comfortable twill touch points on inner cuffs and lining. Center-front metal zipper and covered placket with metal snap closure. 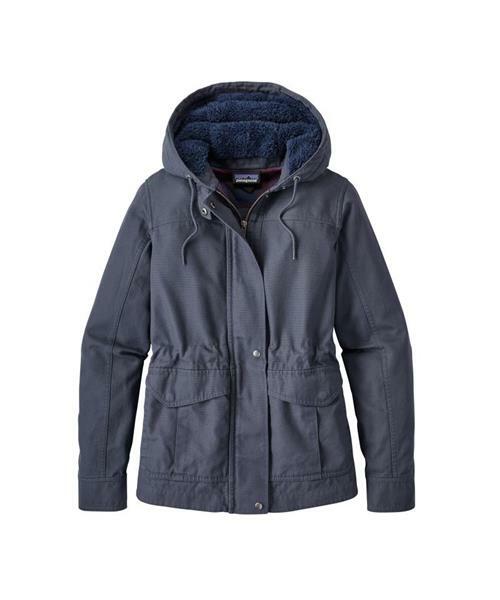 Roomy, fleece-lined hood has an adjustable drawcord. Metal snap closure at wrist. Front drop-in/side entry pockets with hidden snap closure; adjustable inner drawcord provides a flattering fit. Hip length.